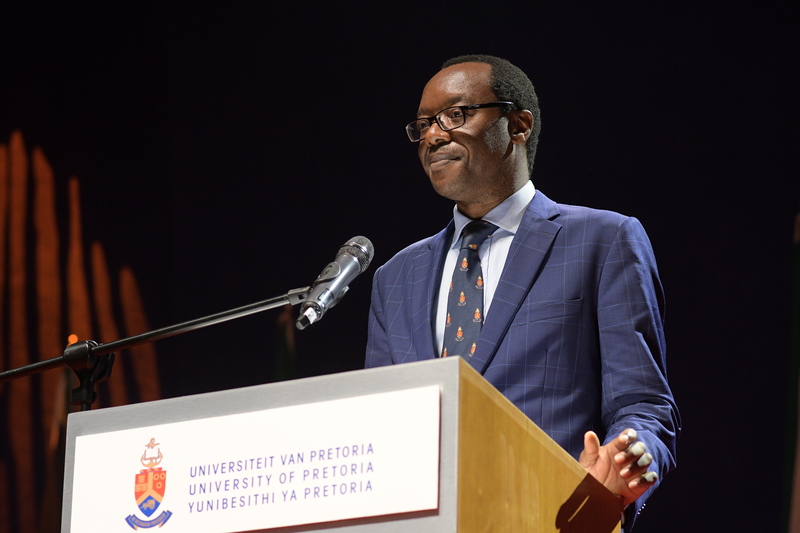 University of Pretoria (UP) Vice-Chancellor and Principal Professor Tawana Kupe officially opened the university’s 2019 academic year today (Friday 8 February), and outlined his vision for the year to staff. He placed emphasis on his Executive addressing issues facing students, including financial, accommodation and other barriers related to gaining access to the University and completing their degrees. “We are working closely with the Student Representative Council, and request all student formations to work with the SRC and management to bring issues and suggestions to us so we can work together to resolve these matters,” he said. Prof. Tawana Kupe set out UP's strategic priorities. He continued by saying all staff, including administrators, cleaners, gardeners and academics, are contributing toward producing graduates, and all have an important role to play. the use of institutional platforms as catalysts for trans-disciplinary research, with a focus on developing research related to opportunities provided by UP’s new Future Africa campus (to be launched 29 March), and the Javett-UP Art Centre (to be launched later this year). an intensified focus on the recruitment, success and development of postgraduate students, in particular research master’s and doctoral students, and the establishment of a Postgraduate Centre. forging strategic partnerships as part of UP’s internationalisation strategy, by attracting international scholars, postdoctoral fellows and postgraduate students, and an increased focus on collaboration and partnerships with researchers in the rest of Africa, BRICS and selected strategic partners. An increase in external funding for research, innovation, and postdoctoral and postgraduate scholarships. He said that although students’ focus at UP is to gain further education, “[Staff members’] duty goes beyond teaching, as we need to address [students’] social issues.” In this vein, the University will be launching an improved food programme for needy students. Food trucks will be introduced at dedicated locations to alleviate problems regarding long queues and offer affordable and healthy meals, in a bid to cater for the diverse needs of students and staff. 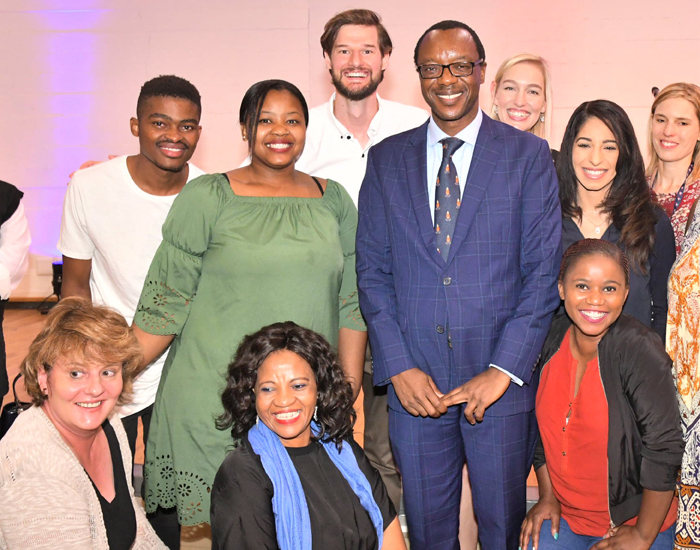 Prof. Kupe addressed hundreds of UP staff members on the Hatfield campus. “One of the key priorities under the new food model will be to address student hunger. Creative new solutions for self-sustainability are being explored in consultation with prospective donors,” he said. Prof. Kupe referred to the national rate of suicides among university students stressed by personal as well as academic issues. “We need to address this. We cannot lose young lives that have the potential to contribute to the country.” Therefore, UP’s student health, wellness and counselling functions will be streamlined and consolidated into a coherent unit catering for all aspects of student well-being. Prof Kupe said all UP staff have an important role to play. In 2019 the strategy will be to introduce and nurture activities with a high impact on student life. “This will ensure more diversity in activities towards the improvement of student success and balanced student life. The University resumed full academic activities on Monday 4 February.